It’s the perfect time of year to explore the world of dark beer in the Roanoke Valley in Virginia’s Blue Ridge. The bold flavors and depth of dark beer will help keep you warm on those cold winter days. With our growing craft beer scene, it’s no surprise that we have an abundance of fantastic dark beer at our local breweries. 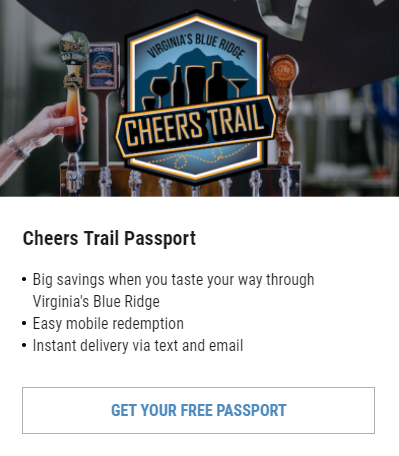 Many of these are on tap throughout the year, but this is an especially good time to sample your way through some dark beer in the Blue Ridge Mountains. This list is in ABC order of the breweries and is not meant to serve as a ranking. Grab a spot in front of the firepit on the patio and get cozy with a glass of Victory at Sea, Ballast Point Brewing Company’s imperial porter with coffee and vanilla. It’s infused with vanilla beans and Caffe Calabria coffee beans from San Diego. What better way to warm up on a cold Blue Ridge Day than with a trip to Beale’s for some smoked brisket and a pint of Beale’s Black - a smooth oatmeal stout. It’s dark, silky, but still easy to drink at 4.5% ABV. We love when local businesses collaborate to come up with unique creations, which is exactly what Big Lick Brewing Company has done with this oatmeal stout. It features “Dark Side of the Barn” dark roast coffee from Scratch Biscuit Company for some extra local flavor! 4. Agents of Chaos - Chaos Mountain Brewing Co. Agents of Chaos is one of many award-winning beers on tap at Chaos Mountain Brewing in Franklin County. It’s a Belgian Special Dark Strong Ale featuring dark fruits and caramel that makes for a solid after-dinner drink. Share a conversation and good beer at the Deschutes Brewery Tasting Room in Downtown Roanoke. The Obsidian Stout is one of the Oregon-based brewery’s flagship dark brews and is known for its notes of espresso and chocolate. It’s served on nitro for an extra smooth finish. The Flying Mouse 8 is a good option for those who want to enjoy a dark brew, but something that’s lighter than many traditional dark beers. It’s a Porter foundation with a creamy head and moderately bitter, making it very sippable. Have you heard about the new Olde Salem Brewing Company on Main Street in the heart of Downtown Salem? 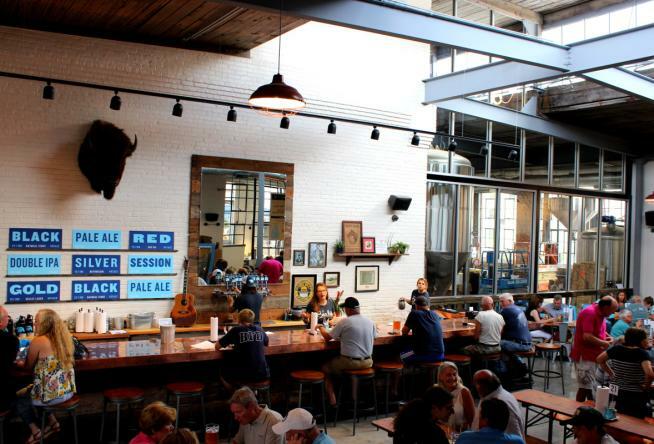 It’s a beautiful new space and welcome addition to the craft beer scene in Virginia’s Blue Ridge! OSBC is jumping into the dark beer game with its Blindman in the Dark, a coffee stout brewed with locally-roasted beans from Mill Mountain Coffee. They also have the Blindman on the Beach, a similar beer that’s brewed with coconut. You may know Raven’s Roost as the iconic overlook on the Blue Ridge Parkway, but it’s also known around here as the tasty porter at Parkway Brewing Company. It boasts a 7.1% ABV and has notes of chocolate, caramel and toffee. As part of its seasonal offerings, Soaring Ridge Craft Brewers in Downtown Roanoke is brewing a chocolate stout with some crazy variations. It’s a dark, rich stout that’s subtly sweet and there are four variations available: Mandarin Habanero Chocolate, Black Cherry Chocolate, Peanut Butter Chocolate, and Mint Chocolate. Head to the new Starr Hill Pilot Brewery & Side Stage in The Bridges development in Downtown Roanoke for some great dark beer and live music. The Double Bass Chocolate Stout is on tap during the winter and there are also variations with peppermint, chipotle, and mocha. It&apos;ll warm you right up with notes of bittersweet chocolate and dark fruit. Quench your thirst at Twin Creeks Brewing Company in Vinton with a pint of the Slow Water Porter. This is a deep, dark beer that’s rich and roasty with flavors of coffee and chocolate. Get to know more about the breweries in Virginia’s Blue Ridge by taking part in a Roanoke Craft Beer Tour! You should also check out our list of Hop Shops in the area that offer excellent selections of beer for purchase. Tag us in all your beercation adventures by using our #BlueRidgeDay hashtag!